Purrs and Paws is a modern new cattery and upgraded kennel facilities with large grassed exercise yards, hydrobath facilities and other amenities ensure your pet will receive a high standard of care during their stay. A local veterinarian provides 24 hour on-call. Purrs and Paws Resort is based on a large 2.2 ha property amid tropical gardens. We are located in the Howard Springs rural area on the outskirts of Darwin, easily accessible from the Stuart Highway. 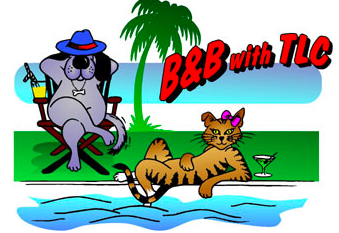 Purrs and Paws Resort is the Top End agent for OzPet Transport and can arrange animal transport to and from the Top End nationwide. The highest principles in pet care are the foundation of our business. Your pets are in the hands of resident professionals. We pride ourselves on our clean and safe environment for your pets.